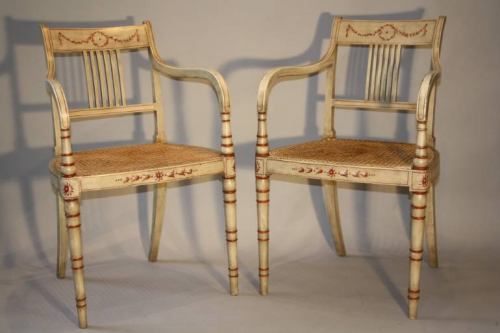 A charming pair of red and ivory painted chairs in Regency style. With elegant proportions, these chairs are upholstered in cane work. English c1920.